Hi, everyone the king of mobile phone is back with new dimention. Back around 2005 while Nokia mobile was at it peak in the mobile industry, no one think the giant is going to fall some day. Let keep that aside, because i am not going to be dwell on that in this post. 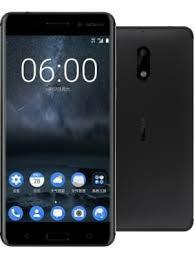 In this post i will be sharing with you all Nokia Smartphone USB drivers with installation guide. generally USB driver are driver that serve like a bridge to link phones or device to the computer (laptop) and Nokia USB driver is and exception. Drivers are important software component of any device and Nokia USB Driver serve the same purpose as other drivers as this is an important part for all android devices and non Android devices which allows you to connect any device or tablet your personal computer or lapteop. These driver files don’t have any kind of executable files, they are like text file after you have extract them, therefore, you need to install Nokia USB driver using manual method. To install Nokia USB driver using the manual method is given in step by step below.